Test out your soccer skills on this great Kick & Score frame game. 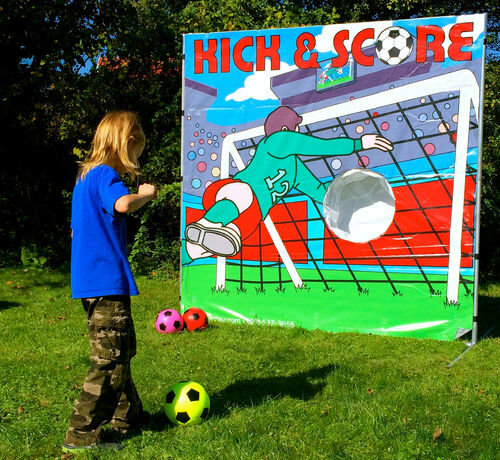 Our Kick & Score soccer interactive carnival frame game is a soccer themed frame game kids and adults alike will enjoy. This game is a wonderful addition to any birthday party, field day, carnival, backyard party and more.